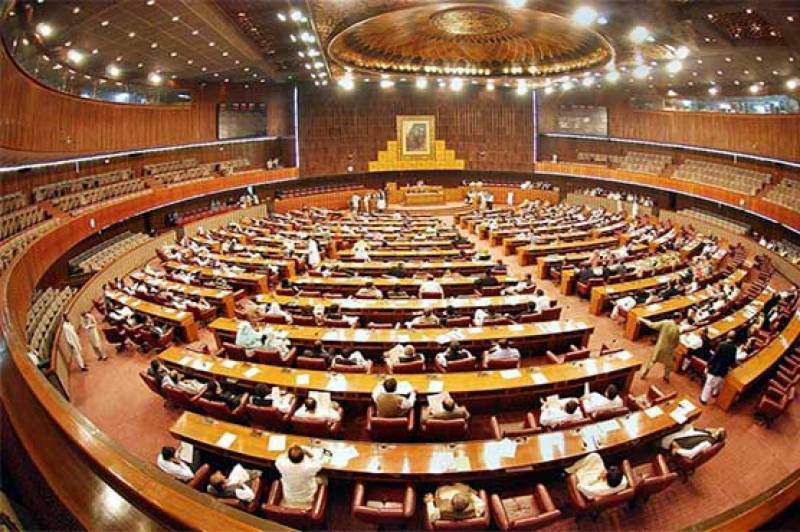 ISLAMABAD: The National Assembly (NA) Standing Committee on Parliamentary Affairs met Wednesday under the chairpersonship of member of National Assembly (MNA) Dr Shezra Mansab Ali Khan Kharal, to discuss the proposed agenda of delimitation of constituencies before the general elections. Ministry of Parliamentary Affairs additional secretary briefed the committee regarding the comprehensive report/implementation status of the previous recommendations of the committee. He informed that the ministry while complying with the committee directives had also sent letters to the departments concerned for implementation of the said directives. The Election Commission of Pakistan (ECP) additional secretary briefed the committee regarding the delimitation process, delimitation in terms of existing law and progress of delimitation of constituencies for the general elections scheduled to be held later this year. He informed that delimitation law could have two dimensions; one pertaining to the laws of enfranchisement, while the other was related to the actual drawing of boundaries to demarcate different constituencies. He further informed that the seats in the National Assembly shall be allocated to each province and the federal capital on the basis of population in accordance with the latest census results. The ECP additional secretary also informed the committee about the allocation of seats to the provinces before and after the passage of the 24th amendment. He said that the total number of seats in the National Assembly before the 24th amendment were as follows: 43 for Khyber Pakhtunkhwa (KP) which have been increased to 48 after the amendment, 183 for Punjab have been decreased to 174 after the amendment, 75 for Sindh remained unchanged after the amendment, 17 for Balochistan were increased to 20 after the amendment, 12 for the Federally Administered Tribal Areas (FATA) remained unchanged after the amendment and two seats for the Islamabad Capital Territory (ICT) have been increased to three after the amendment. He informed the committee that ECP had constituted a delimitation committee for each province with the provincial election commissioner as the convener, while a separate delimitation committee had been constituted for ICT and the tribal areas which shall prepare draft proposals for delimitation of constituencies of the National Assembly from these areas. The committee was briefed about the timeline of delimitation, determination of quota and quota per seats in the National Assembly. Sardar Ashiq Hussain Gopang, Sheikh Muhammad Akram, Mian Tariq Mehmood, Azhar Qayyum Nahra, Rasheed Ahmad Khan, Nadeem Abbas Rabaira, Salman Haneef Khan, Belum Hasnain, Shahida Rehmani, Dr Shazia Sobia, Nafeesa Inayatullah Khan Khattak and Syed Essa Nori attended the meeting. The meeting was also attended by senior officers of the Ministry of Parliamentary Affairs and ECP.